If there is one word to describe Nickelodeon’s extraordinary show, School of Rock, it would definitely be the word, “masterpiece.” School of Rock is one show we all enjoy binge-watching – it has a spectacular storyline, each episode is filled with so much excitement, there are so many outstanding, musical moments and the cast is absolutely phenomenal and so immensely talented. There is no question as to why this incredible show has been nominated not just once but twice at the renowned and prestigious Creative Arts Emmys. 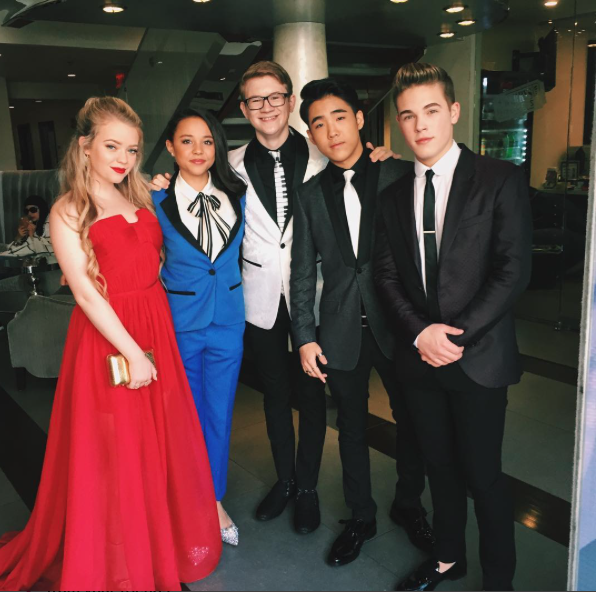 The wonderful cast of School of Rock looked so exceptional as they attended the Creative Arts Emmys that took place on September 10, 2017 in Los Angeles, California. The cast looked so stylish and remarkable at the event as they celebrated their amazing nomination. Let’s take a look at what the cast had to say about their super special day! Here at Alexisjoyvipaccess.com, I’d like to send a big congratulations to the cast of School of Rock on their excellent nomination. They truly deserve it! Previous VIPAccessEXCLUSIVE: BOMANE Is The Hottest Salon Out In LA That Will Give You A Jaw-Dropping Hairdo That Everyone Will Love – Alexisjoyvipaccess Review! Next Article: Big Congratulations To The Marvelous Brooke Lewis On Her Engagement – Read All About The Magical Proposal Here!